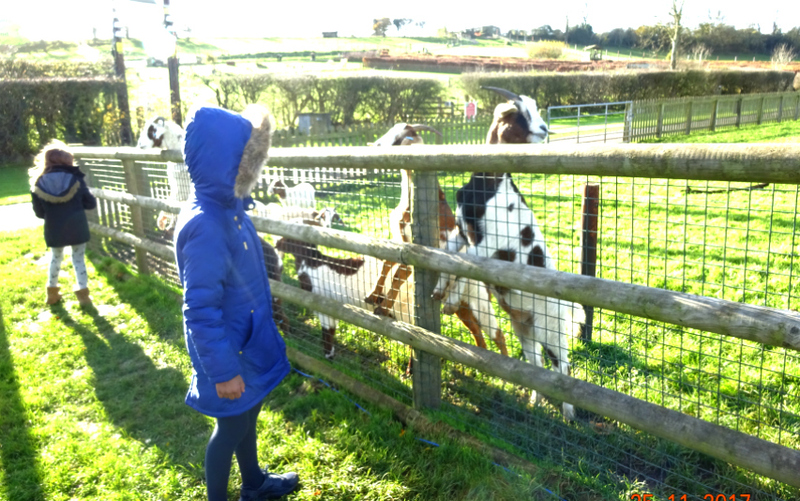 We recently received an invite to review Noah's Ark Farm Zoo, visiting on Saturday 25th November and I jumped at the chance. A sane woman would say "no I have a Christening tomorrow that I have been planning for months" but no, this was too good an opportunity to turn down and I have wanted to visit the place for 3 years. The fact that the kids would enjoy it was a bonus. The fact that Daddy and Grandma could do all the last minute shopping and errands for the party and buffet in peace... well that was the icing on the cake. So plans were made, cousin invited, alarm set and off we trekked. Oh and the usual prep for any event, Aaron was tasked with watching You Tube videos to get suitably excited and that he did in bucket loads as he was beyond thrilled with the selection of animals he was about to meet. Way more than we've seen in other places recently.... errrm... moving swiftly on.... oh but just look at that tractor above. 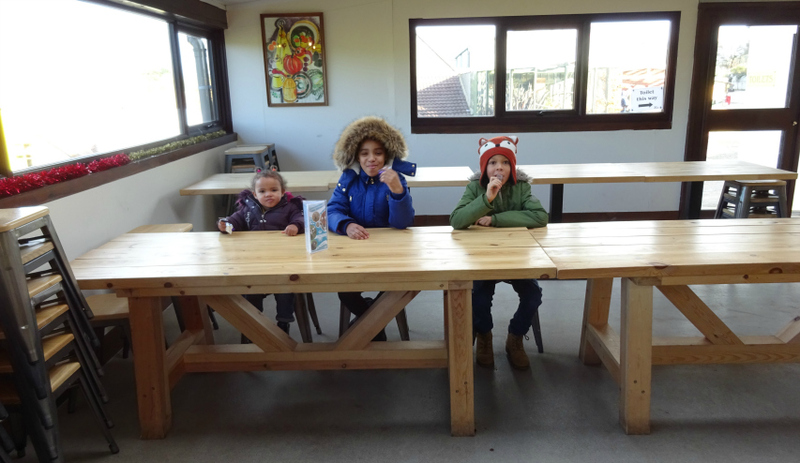 They loved posing for a pic there and that's right before the entrance so they were delighted with the place before we even dived in or met our blogger group in the Food Barn. 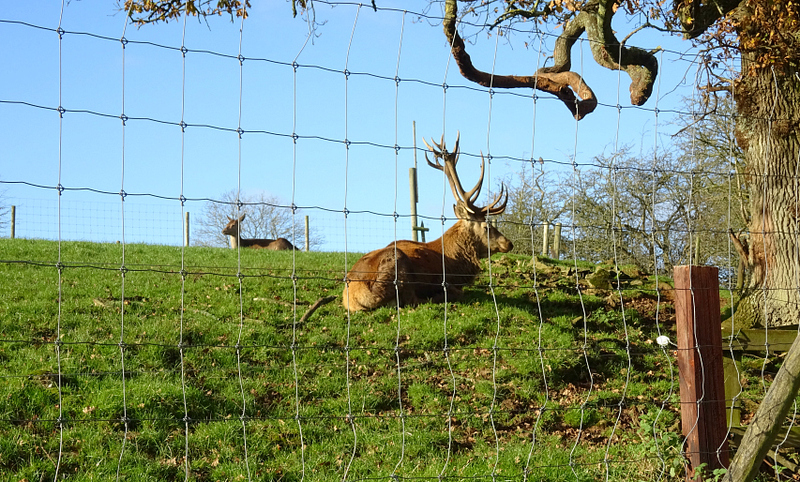 Even before that after getting out of the car in the car-park we were greeted with this scene of reindeer. They look quite mature don't they. Noah's Ark has artfully told the Christmas story through signage, which is very touching. 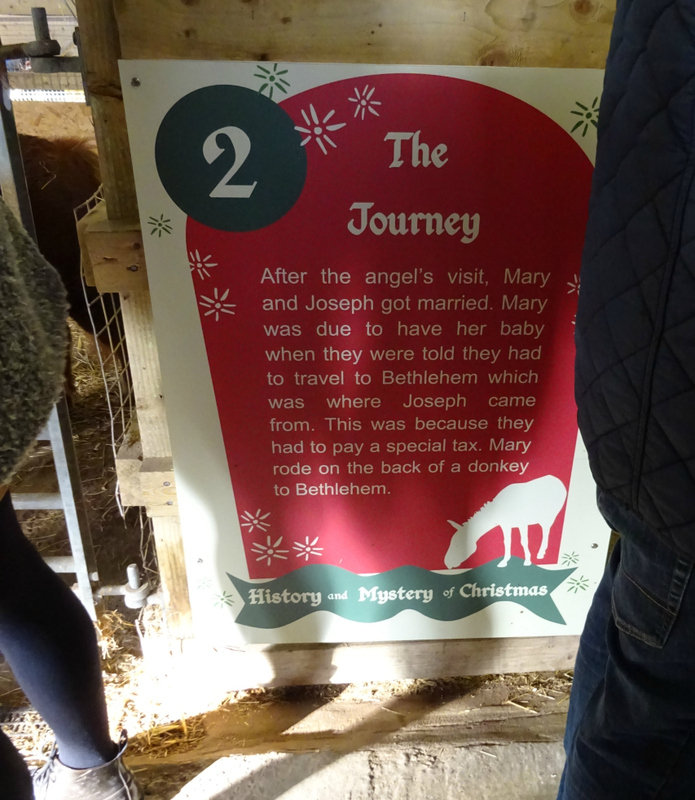 This rather apt sign was next to the donkey. Visiting this signage is part of the History and Mystery Tour which is an illuminated walk culminating with a visit to Saint Nicholas. It is quite literally Christmas at the Ark. The day we were there he was available from 1-2, so it may be that you don't complete the tour completely prior to meeting him unless you whizz round as fast as we did, leaving soft play (and tractor ride) till later, as we did. 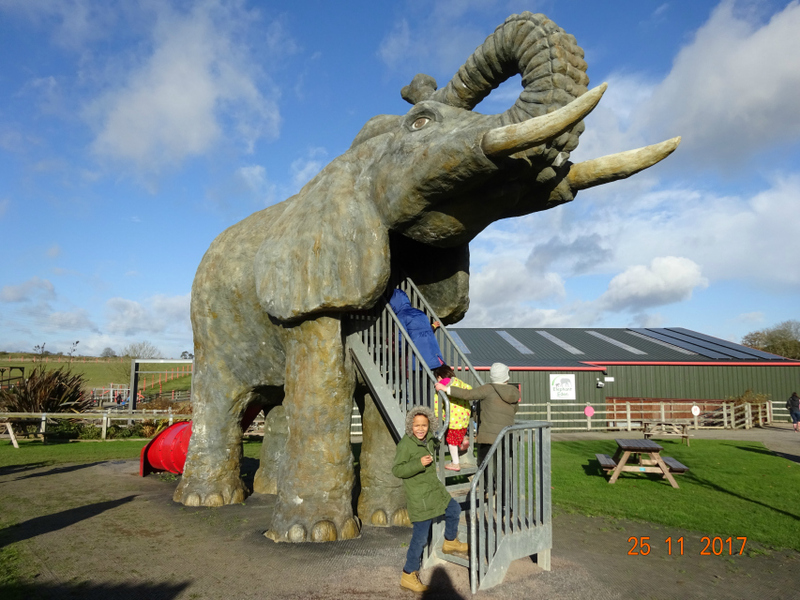 When we went to visit the Elephant Christmas Tree Forest the kids had to first stop to have a go on this. A slide in the shape of an elephant - FANTASTIC. It was cold but as you can see the sky was spectacular. One of those chilly sunny days. Aaron briefly posed and smiled for me below before whizzing down the slide. I guess I was lucky he did as this is sill before the pizza lunch. We must have made up by this point except shortly after this I remember we couldn't get him to join us. Can't remember what he was climbing on or doing by then. SO SO SO much to do there at Noah's Ark, but when he wasn't keeping up that time before lunch, Heather held back to take up the rear and walk with him. Thank you if you're reading this. What a great day out and such good value for what they charge. 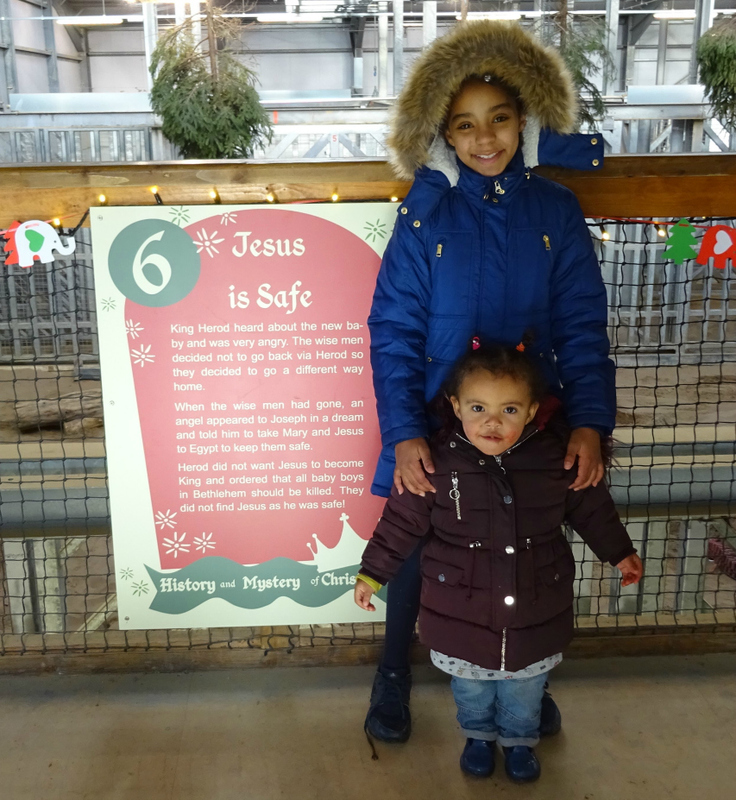 I love this pic of my daughter and my niece in the Elephant Eden House. Jesus is safe. Again part of the Christmas story. Noah's Ark is Christian run. It has a magical vibe about it and Jane was lucky enough to meet the owner. 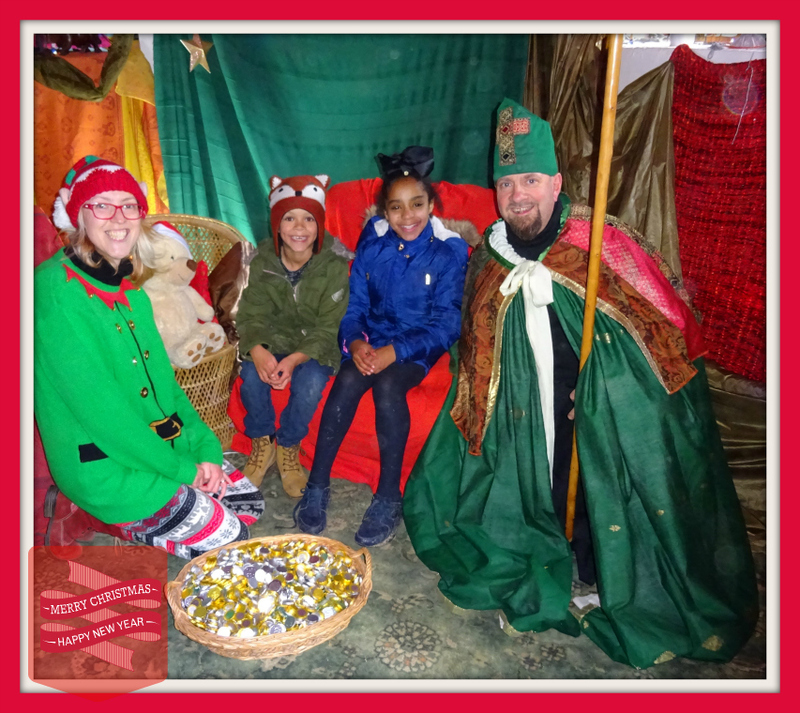 But then with full tummies we were off to meet St. Nic and his trusty Elf. 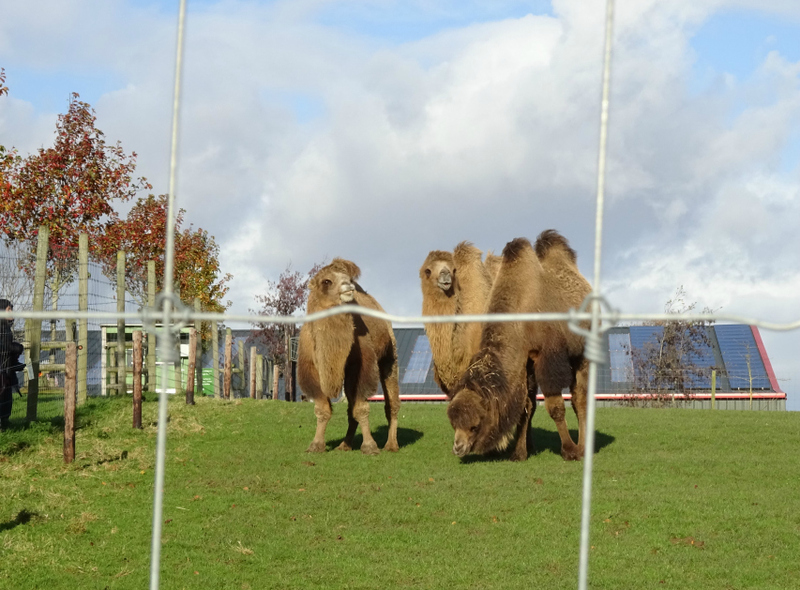 The kids LOVED the animals but they were laying an egg to get to the soft play and it didn't at all disappoint. 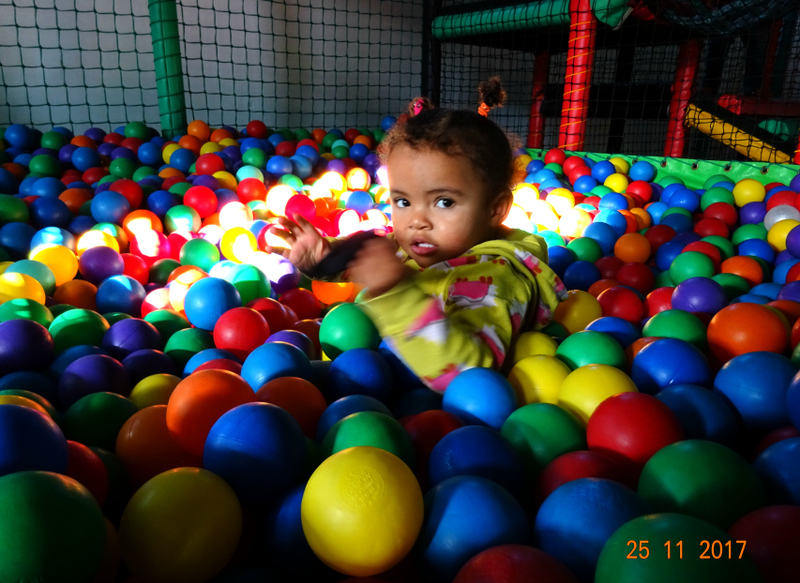 I thought Lottie would be frightened being deep in a ball pit but she wasn't phased at all. Even copying her elders and sinking right down into it. I have BRILLIANT footage of them in the play areas both wooden and soft but not really any photos as they were moving so fast any I did take were blurred. 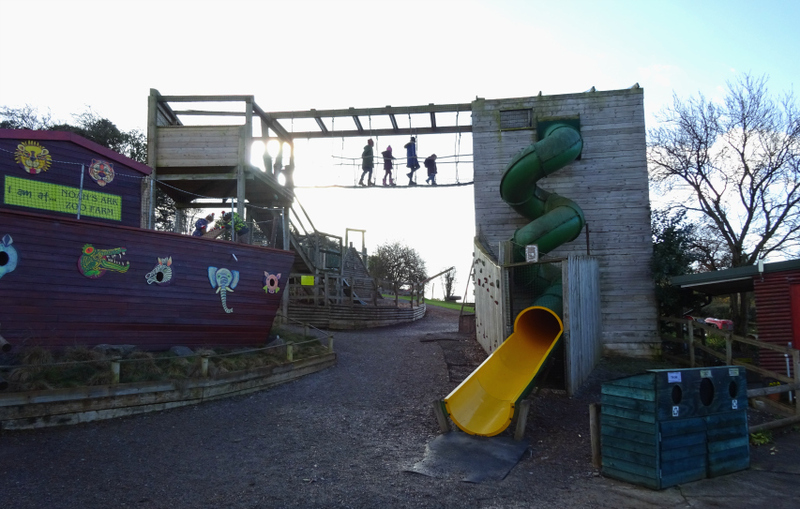 Plus in the wooden play area, while Aaron and his cousin ran ahead I was often with Lottie, so didn't get chance to stop for pics. Can't wait to edit it all into a vlog when I get chance. We did stop for a break though to do the tractor trailer ride which I can highly recommend. 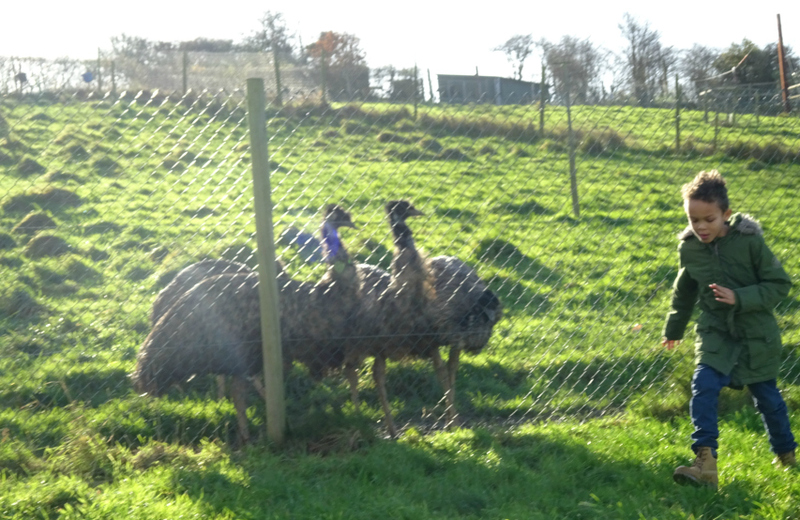 I must advise though that it is £2 per person and not included in your admission. The driver did a guided tour of Noah's Ark and it was very entertaining and original. It took us so long to convince Lottie to leave and put socks and shoes off that we missed one ride and met some animals while we waited for the next which would be the final one of the day. 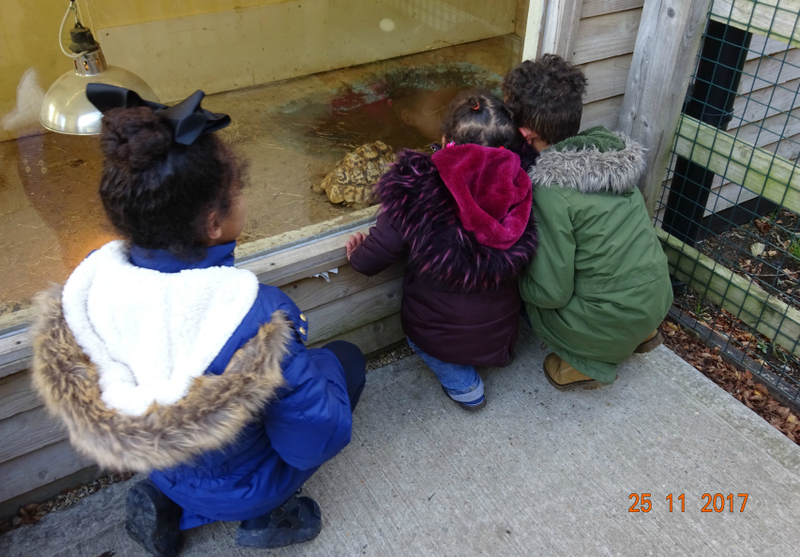 Aaron and his cousin were delighted to be able to have animals on their knees and to stroke them. I think they handled 3 different animals in total each. We had such a good time at Noah's Ark and I wouldn't hesitate if I had the opportunity to go again. Although we were there as bloggers to review it, I do think it's well worth the admission fee. I had 3 children with me of such different ages: 1. 7 and 9 and they'd all give it a huge thumbs up. We were there till closing, such a good time we were having. Being 25th November it was dark when we left. Good night Noah's Ark. 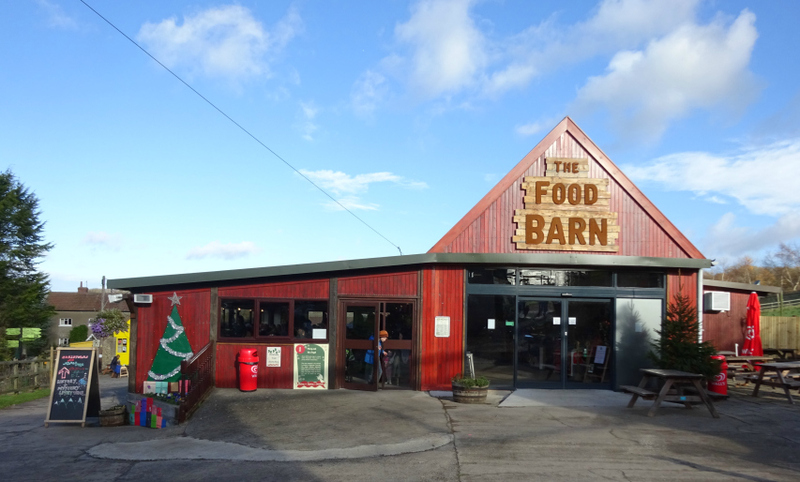 Saturday 16th December: Come and watch a festive perfomance of the Christmas story with real animals. 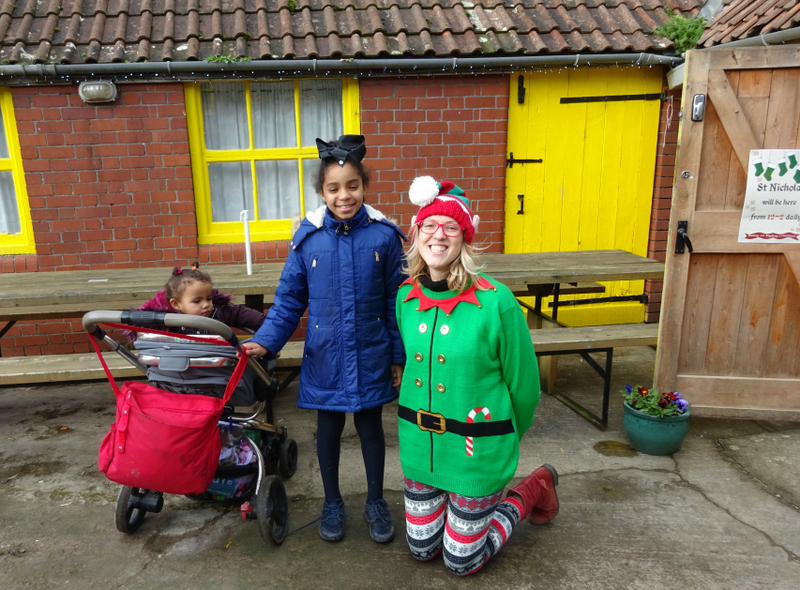 The Portishead Brownie group is kindly putting on a Christams Nativity for you all at 2pm in the Ark Arena. The nativity showing is included in the entry price. Do you belong to a local school or community group? 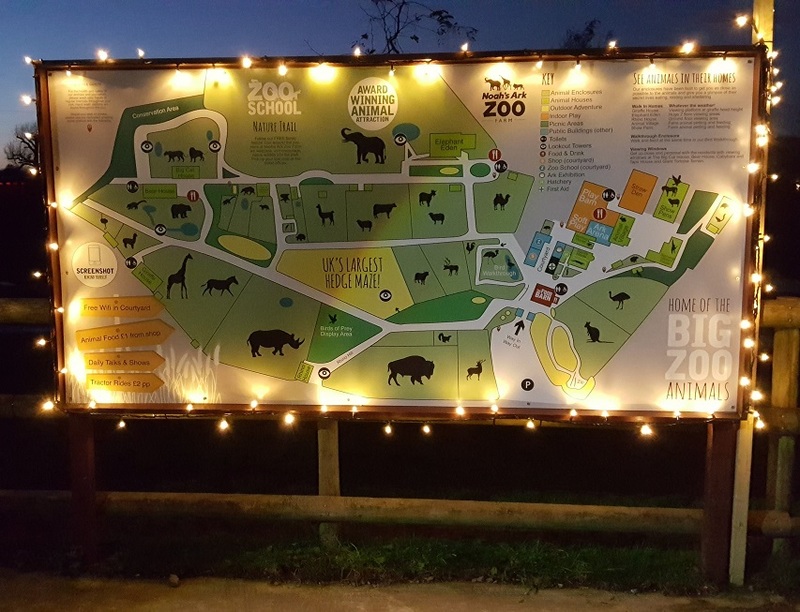 This year our traditional Christmas Nativities featuring real animals are returning and we would love for you to get invloved. Please note booking is essential to take part and performance dates run from 4th - 22nd December 2017. 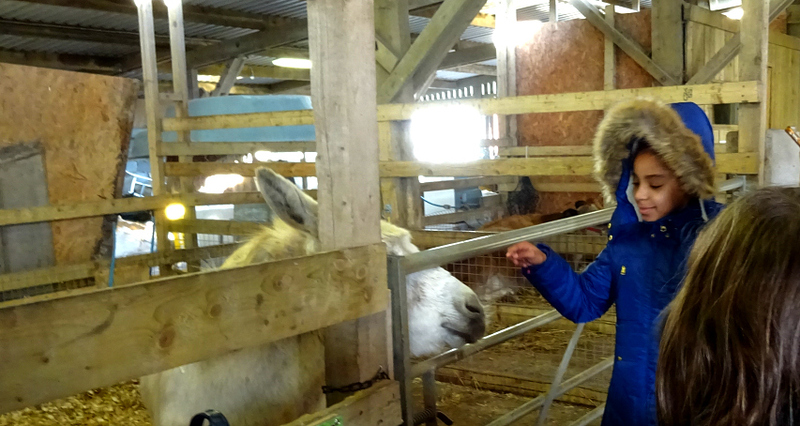 Disclosure: I visited Noah's Ark as part of a bloggers' experience arranged by Bristol Bloggers, therefore our admission was complimentary. I do however remain honest and haven't been told what to say. 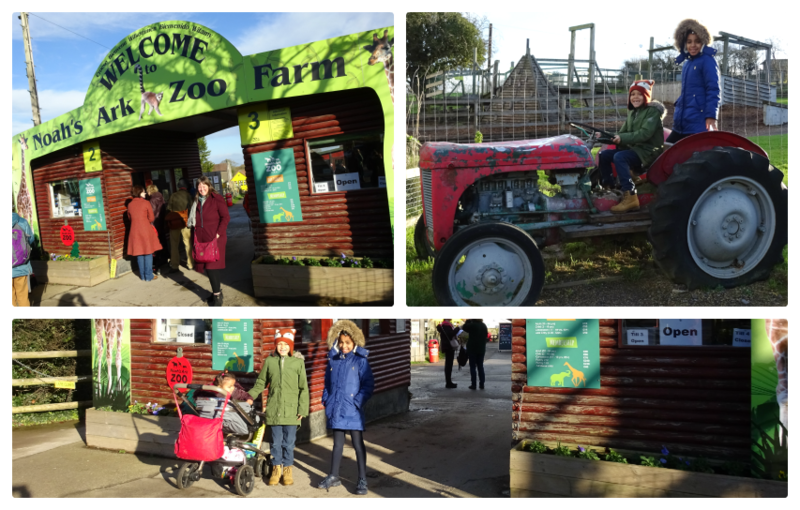 We truly LOVED our day at the zoo farm and can't wait to visit again. You'll see truly how much fun we had when I publish a video, as soon as I get time to edit it that is.